ZS Genetics, based in Wakefield, MA announced it will partner with Hitachi High Technology America (HTS), to commercialize ZS' single-molecule DNA sequencing platform. Dubbed a “third-generation” sequencing technology, ZS' sequencing platform employs high-resolution electron microscopy (EM), to allow users for the first time to sequence long reads—50,000 or more base-pairs—of single DNA molecules at high quality. The company expects to average hundreds of millions of base-pairs of sequencing data per hour. ZS Genetics says its technology is designed to sequence entire human genomes in days by reading sequences of single DNA molecules that are hundreds of times longer than those read by any other existing technologies, without the need for amplification. The company's third-generation sequencing processes DNA samples into single-stranded DNA that is then modified into double-stranded DNA with a few “heavy atoms” or modified deoxyribonucleotide triphosphates (dNTPs) per base pair. Each dNTP contains a unique label separately identifiable in the electron-microscope image, which is captured and analyzed with software that recognizes the DNA and labels. 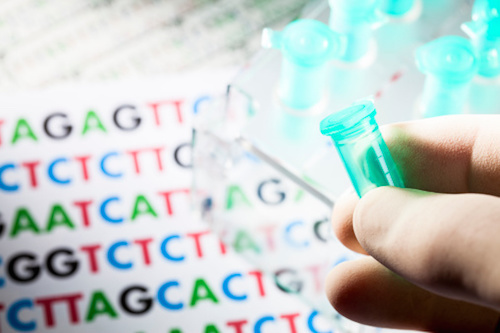 The technology typically sequences each sample 5 to 10 times, rather than 30 to 50 times—a reduction in oversampling that ZS Genetics says on its website will “collapse” the informatics costs of sequencing and improve the quality of genomes produced. Privately-held ZS Genetics plans to establish an early-access center in its Wakefield, MA, facility later this year for product and application development, in collaboration with select customer and supply-chain partners it did not name. The companies did not disclose other details and terms of their strategic product development relationship. HTA, a subsidiary of Hitachi High-Technologies Corp., sells and services semiconductor manufacturing equipment, analytical instrumentation, scientific instruments, and bio-related products, as well as industrial equipment, electronic devices, and electronic and industrial materials. HTA is a privately owned global affiliate company operating within the Hitachi Group Companies.